The CEO of C&C Group has admitted the company is “puzzled” by the speed at which Spirit Pub Co rejected its takeover approach, but would not be drawn on whether this marks the end of the matter. Last week, the Irish drinks firm made a preliminary approach to Spirit to acquire its 1,200-strong pub estate in the UK. However, Spirit issued a statement saying it had rejected the proposal. “We were puzzled,” Stephen Glancey said on a post-results conference call today, when asked about the quick nature of the dismissal. According to the Irish Times today, Spirit is close to accepting a GBP723m (US$1.17bm) bid from Suffolk-based brewer and pub operator Greene King. The newspaper claims, however, that C&C is eyeing a higher bid for the Spirit estate. C&C reported a sharp decline in its England and Wales business today, with half-year volumes sliding 9.4% and sales down 12.4%. As a result, the company is set to review its business structure in England and Wales. 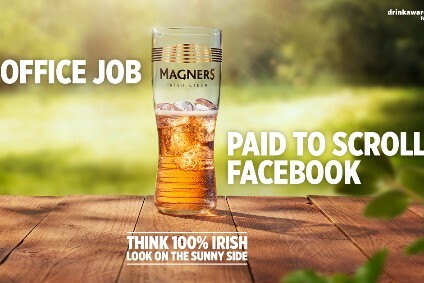 Cider brand Magners suffered in particular in the two countries, with sales falling 17.4%. But, Glancey maintained the brand remained “strong” and still had “consumer affection”. 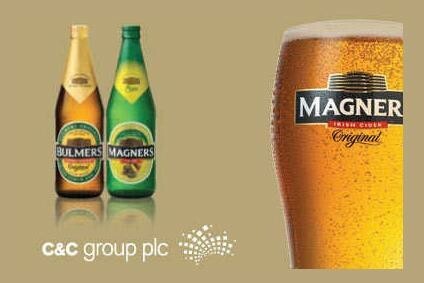 In the US, C&C suffered as sales fell 22.6% to EUR20.5m, with its Woodchuck cider brand not performing as expected. Joris Brams, C&C's group international MD, admitted the firm had been “overwhelmed” by the amount the big brewers have invested in new brands in the market. The US cider category will keep on growing, Brams said, and there will be “room for authentic craft ciders”. In Australia, the company has been held back by distributor issues earlier in the year, but has now switched to a new wholesaler. “We are hopeful we can get back into a good position (in Australia) next year,” said Brams. Depsite some troubles, C&C reported a 23.3% lift in half-year net profits to EUR51.8m off the back of a 9.3% rise in sales.